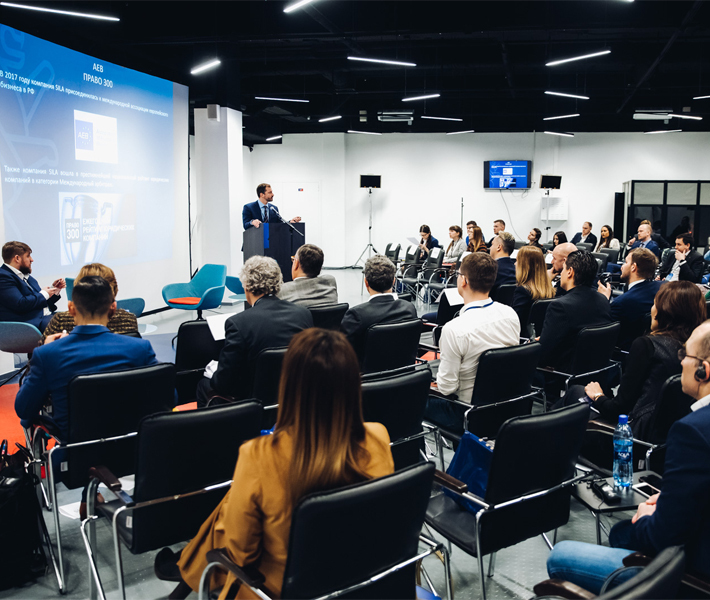 On March 28, 2018, the Law and Sport 3rd International Conference took place at the VEB Arena stadium in Moscow. It was organized by SILA International Lawyers law firm with the support of company partners FUR, RFPL, PFC CSKA and the Sport Business Consulting magazine. Representatives from 20 countries attended the conference. Sergey Pryadkin, the vice-president of FUR and president of RFPL, opened the conference with a welcoming speech. Next, Mikhail Prokopets, a SILA International Lawyers partner, described the company’s activity in recent years. The conference’s first session was devoted to issues in the sports business. Marina Dumina, Director of the Legal Department for the 2018 FIFA World Cup Organizing Committee, gave a presentation on the “Legal Aspects of Preparation for the 2018 FIFA World Cup”. The presentation covered issues in the organizational structure of the preparation and staging of the World Cup, special legislation in the field of the World Cup, as well as matters in the protection of commercial rights of the World Cup organizers and tournament taxation. The head of business development in Russia and Eastern Europe of Nielsen Sports, Maxim Kleiman, gave a presentation on the topic “Practical Aspects of Financial Fair-Play”. In his presentation, Maxim explained what financial fair-play is, what problems football clubs are most likely to encounter when implementing this rule, and shared his experience in optimizing football club income, describing how it works in practice. Brazilian lawyer Marcos Motta, partner of Bichara & Motta Advogados, presented “The Evolution of Transfers of the Top Players in Recent Decades”. In his presentation, Motta described how transfers of world football stars have changed in recent years, how such transfers take place and their impact on football clubs, and told about possible transfer regulation reforms that are currently under discussion. The second session of the conference was devoted to FIFA and CAS dispute resolution practices. Pavel Pivovarov, Executive Director of Zenit Football Club, a member of the FIFA Dispute Resolution Chamber and CAS arbiter, presented his topic on the “Practices of the FIFA Dispute Resolution Chamber”. His presentation focused in particular on practical issues, such as the determination by the FIFA Chamber regarding its competency in dealing with disputes, FIFA’s approach to deciding arbitration clauses, and what requirements would need to be met for a national dispute resolution chamber, so that the presence of such a chamber would exclude FIFA jurisdiction in dispute resolution between parties. Efraim Barak, founder of Efraim Barak Sport Law & Consultancy and CAS arbiter, gave a presentation on the topic “The New CAS Anti-Doping Ad-Hoc Division at the Olympic Games – Its Establishment, Operation, Jurisprudence, and Future Challenges”. Barak explained in his presentation that the IOC decided in 2016 to transfer doping cases arising during the Olympic Games to the special CAS Ad-Hoc Anti-Doping Division (ADD). His presentation also focused on matters of ADD competency, the main differences between the ADD and the usual CAS ad-hoc division for the Olympic Games, ADD procedural issues, and a brief overview of ADD activities in Rio and Pyeongchang. 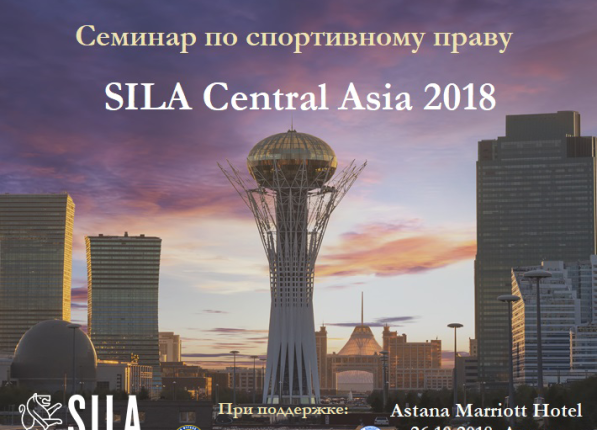 SILA International Lawyers partner, Georgi Gradev, presented “CAS Jurisprudence on Contractual Disputes”. Gradev discussed CAS practices in matters regarding outstanding debts, sending players to reserve teams, calculating compensation in favor of the club for wrongful contract termination by a player, as well as the difference between liquidated damages and buyout. In the third session, the CAS arbiters described some cases in which they had participated. Manfred Nan spoke about the Fenerbahçe football club case against UEFA regarding sanctions for the behavior of fans outside the stadium and about the Feyenoord football club case against UEFA on disciplinary sanctions for racism. Bernhard Welten described CAS case No. 4869 concerning compensation for preparation, the Gaz Metan case against Chernomorets Burgas on outstanding debts during bankruptcy proceedings, and Leonid Kuchuk’s case against Lokomotiv football club. The conference closed with a roundtable discussion with Bernhard Welten, Efraim Barak, and Marcos Motta on anti-doping disputes. The roundtable discussed the case of Paolo Guerrero and reducing disqualifications for cocaine use, the case refusing Russian Olympians admission into the Olympic Games in Pyeongchang, particularly about how this case differed from doping disputes, and the case of Russian Paralympic athletes regarding their exclusion from the games in Rio.